Mummies: Secrets of the Pharaohs is directed by Keith Melton and narrated by actor Christopher Lee who takes the viewer on a wondrous journey to ancient Egypt in this riveting documentary. This documentary briefly traces the history of this magnificent culture and how one of the world's foremost Egyptologists of the 1800's assisted in translating hieroglyphics to the modern world and uncovered some histories most famous Pharaohs' mummies by thwarting Egyptian tomb robbers. 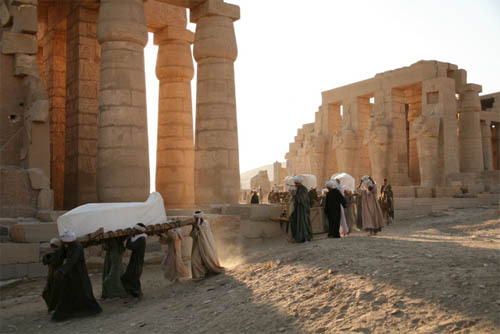 Melton and his crew faithfully reenacts key moments of Egyptian history to draw the viewer into the majestic world's of the Pharaohs. 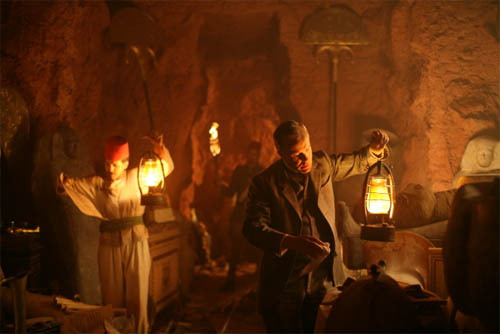 The documentary also focuses on scientific evidence regarding mummies and how they lived and died, which may even lead to scientific breakthroughs of curing modern illnesses. The film is quite visually impressive and it is almost like you walking through these ancient temples and landscapes. Thanks to the magic of IMAX, every hieroglyph and detail is crystal clear which assists in bringing you into this engaging documentary. Lee does a brilliant job at narrating Mummies: Secrets of the Pharaohs through his deep and cinematic voice as he informs the viewer of the various Pharaohs from Ramesis the Great to the boy king, Tutankhamen. The only downside of Mummies: Secrets of the Pharaohs is that the documentary felt a little short (42 minutes to be exact), just when the viewer was thoroughly immersed into the tale, the film ended.